Organisations are one of the ways in which the environment can be considerably helped. 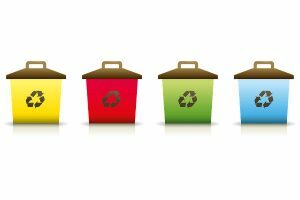 Below are our top five office recycling initiatives with the aim to help you change your workplace. Before we start, you might be wondering why exactly you should bother. Well, an office of 100 people produces on average 20 bags of waste a week. This fills a 1100l waste bin every week. So, how can your workplace help? Recycling, recycling, recycling. It reduces landfill, cuts gas emissions and saves trees. One of the reasons why ink cartridge recycling is so important is because they take 400-1000 years to degrade when not recycled. It is a waste of a non-renewable resource, contributes to land pollution as well as air pollution and climate change. 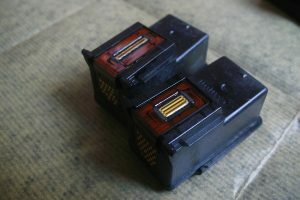 A great office recycling initiative, then, is to ethically recycle ink cartridges. The original printer cartridge manufacturers pay for every one of their EOL printer cartridges to be recycled. In turn, this lessens the need for non-renewable resources by channeling them elsewhere. This is one of the ways in which your office can really help make the environment better. It can make a huge difference, especially if you spread the word too. Offices use masses and masses of paper each week. 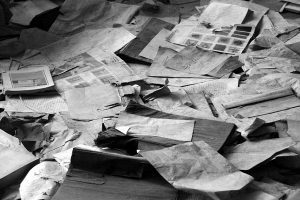 One frightening statistic is that 30% of the printing released never gets picked up which wastes paper, electricity and money. Managing your printing and paper consumption can be a technical task, but quite simple once pointed in the right direction. The first thing you can do is set up all of the printers in the office to print double-sided (duplex printing). This halves paper consumption instantly and so you’re already ahead of the game. Another thing you can do is to use the pull printing idea. This initiative relies on a user activating a print job at the printer, rather than just printing from a computer and never collecting the documents. If you have more than 50 members of staff, this idea becomes worth exploring. You should speak to your printer supplier for more advice. A great way to make your employees or fellow workers aware of recycling is to install new bins and good labels for them. It may seem trivial, but it’s a great way to go, especially to begin. Installing recycling bins for glass, plastic, paper and other waste is only one part of this initiative. What you then need to do is communicate it from the top down so that everyone knows about the new system. For the labels you use, make them colourful and stick an image of what you can put in the bins on each one. This way, you’re sorting through rubbish effectively and making people actually think about what they’re throwing away. One way to make sure staff are aware of the consequences of what they’re throwing away and what they are producing is through training. Now, this doesn’t have to be a huge office meeting where everyone is bored to death and wants to simply get on with their job. It could be a day where you host activities throughout that help to educate. There are many ways in which you can make an office recycling day fun and informative. Of course, you should talk to staff about the new initiatives and their impact on the environment. Even if you’ve fully established your recycling strategy, you will have general waste that contributes to landfill each week. 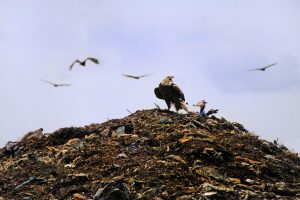 If you are a part of a large company or organisation, one initiative worth looking into is a zero-to-landfill one. This particular idea eliminates waste by sending it to be incinerated. Specialist waste providers offer this service and it is undoubtedly a financial commitment, but one that can be used for the company in many positive ways. As research shows that the impact of incineration doesn’t outweigh the benefits, it can be used to win new customers and set an example for staff. We wish you the best of luck in changing your office’s eco-friendliness for the better. It’s a great thing to do and we hope you take it on board. Love the article on recycling. I also want to start recycling plastics bottles, paper and other waste. Please help me start this initiative and also help me with an introduction email to staff of recycling as why they should be part of it. Hello Barbara, we are glad that you enjoyed reading the article. It is wonderful that you want to take action! 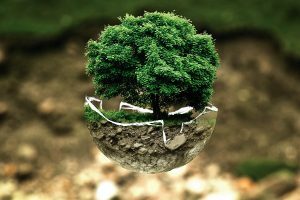 The links below on how to set up an “office green team” and how to engage your staff for the initiative might be helpful. Best wishes on your sustainability journey!